By Mark Pearson. Published by Allen & Unwin. 2012. 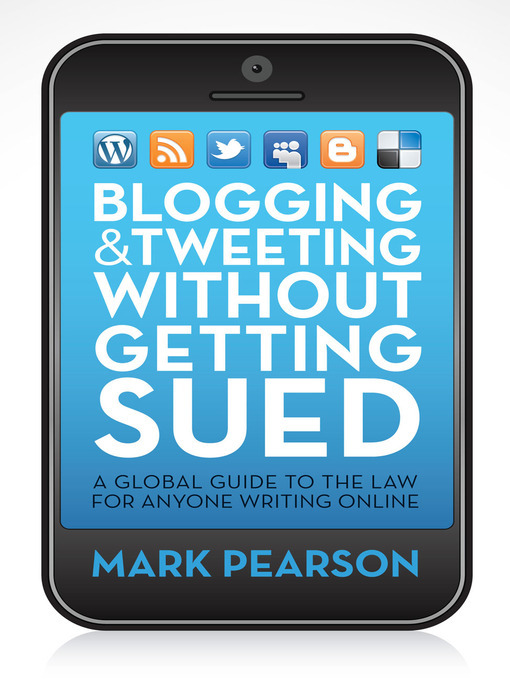 While not an exhaustive guide, Pearson provides the reader with a basic understanding of "blogging and social media law". A introduction to common legal principles that apply to online publishing and how to avoid some of the obstacles that exist for free speech from a global perspective. By Lisa Guerin. Published by Nolo Press. 2017. 5th ed.